Ongoing training is critical for a successful business and a successful career for individuals. Setpoint Systems’ commitment to training is unique in our industry. 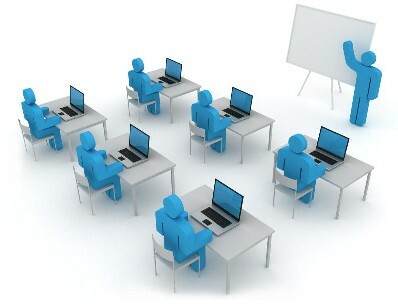 We are not aware of any other systems integrator that provides nearly as much training to both customers and employees. 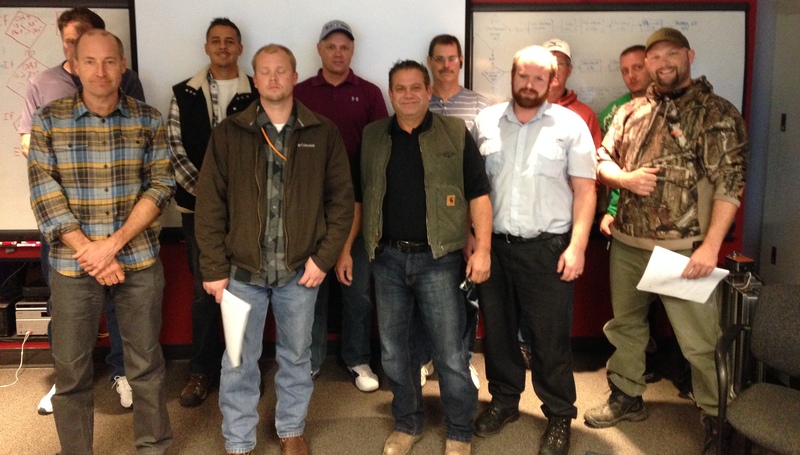 In 2013, Setpoint Systems trained over 200 customers in a total of 20 training sessions. We also held 50 internal training sessions and had 25 new employees go through intensive 6-week training courses. In total, we provided 1,900 hours of training. A standard working year in the U.S. is 2,080 hours, which means we provided nearly constant training for the entire year! So what’s in store for 2014? Even more training! We’re opening an office in Minnesota and will be training more customers and employees there. We’ll be adding new customer training courses for products like enteliWEB for example. Training will be a huge focus for us in the coming year, and all of our customers and employees will benefit! We thank you for partnering with us in the past and look forward to sharing success in 2014 and beyond! This entry was posted in Delta Controls, Setpoint Systems News, Training Department and tagged Delta Controls Training, Education and Training, enteliWEB, New Employee Training, Setpoint Systems, Training on December 19, 2013 by John Becker. enteliWEB is the latest building automation software package from Delta Controls. Built from the amazing success of the world leading ORCA (Open Real-Time Control Architecture) software, we have completely re-imagined what BAS software looks like. Know up to the minute how your building is performing. In the past the interface into your building was static. A graphics package was provided along with the standard tool for navigation through your building’s controller network. What if you wanted to see something different? If you have multiple people using this software, is it hard to imagine that each person might be interested in vastly different aspects of your building? What if the same piece of software and infrastructure used to manage the day to day operations in your building could also be used by your company’s Energy Management group for environmental optimization and energy management? We have built enteliWEB to be that tool. At the heart of enteliWEB is the operator dashboard. This is the first screen that you see when logging into enteliWEB and can be customized as easily as the screen on your smartphone. Select widgets from a list of options and simply drag them into place within your dashboard. Everyone, from your technicians to the executive team, can have their own page that brings up just the information they want, as soon as they login. Because you choose the information that you want, you can change it at any time. Having trouble with your chiller plant? 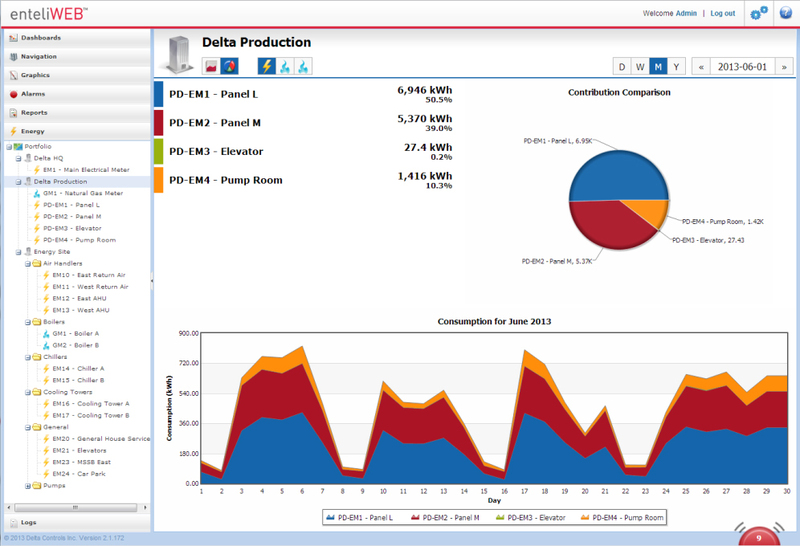 Bring multi-trend graphs, the main system graphic, and specific panel I/O, into your dashboard and get a picture of how that system is doing the moment you log in. Want to see comparative energy or utility usage? Bring in a variety of different graphs and charts, and see immediately how the building is performing. Learn more at: http://deltacontrols.com/enteliweb or contact an account manager at Setpoint Systems Corporation for a live demo. This entry was posted in Delta Controls and tagged Building Automation System, Building management system, Delta Controls, enteliWEB, LEED, Setpoint Systems Corporation on November 5, 2013 by setpointsystems.